Alex Sheen is many things, but "boring" is not one of them. In the last six years, the Lakewood resident has walked across the state of Ohio in 10 days in honor of Amanda Berry, Gina DeJesus, and Michelle Knight; learned to bake apple pie; personally delivered Disneyland tickets to 100 children with cancer; and driven overnight to bring disaster relief supplies to Hurricane Sandy victims. Simply because he said he would. 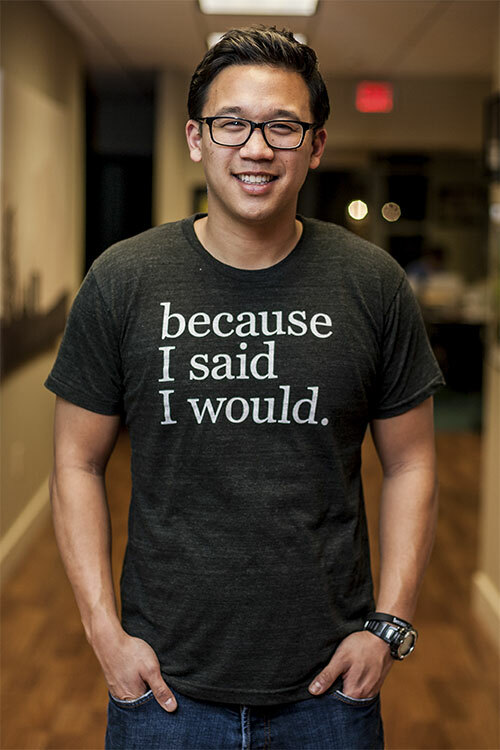 Alex Sheen, the brainchild behind because I said I would,The thirtysomething Clevelander is the brainchild behind because I said I would, a Rocky River-based nonprofit and social movement aimed at “the betterment of humanity through promises made and kept.” Since Sheen founded BISIW six years ago, the organization has distributed more than 10.3 million “promise cards” to 153 countries, and Sheen has given talks to more than 300,000 people. Sheen has also garnered attention by making—and—keeping his own high-profile promises. During 2013, Sheen made 52 promises and picked a different one out of the hat every week, making a video to document the completion of each one. In 2014, Sheen decided to volunteer at 52 different nonprofits in the space of 52 weeks (including Lakewood-based LEAF Community). “The idea was to make and keep these promises to get people to pay attention—not only to the issues behind the promises, but also just the idea of keeping promises at large,” says Sheen, who graduated from Ohio University in 2008. To deepen the impact even further, BISIW has sparked chapters in schools and prisons around the country. Since starting the school chapter program last year, there are seven chapters (with three in Ohio and four in Texas); Sheen says there is also a “variation of a chapter” in Panama with more than 400 students involved. BISIW is also offering character education programming at Pendleton State Prison in Indiana and Medina Juvenile Detention Center. 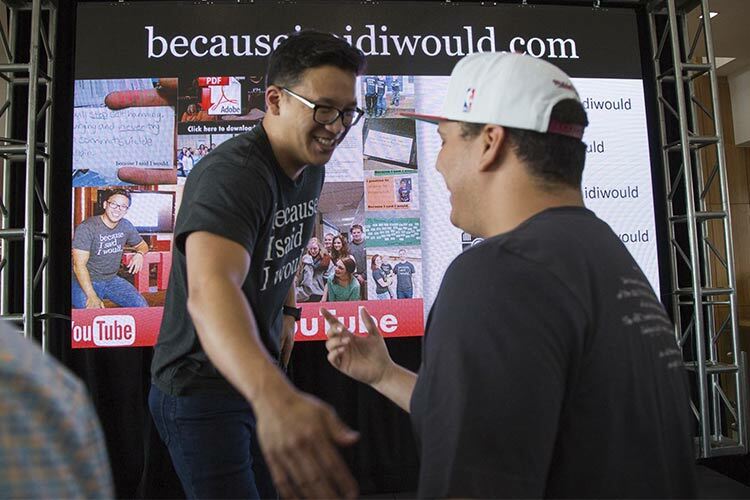 Alex Sheen shaking hands at a high school chapter meetupEarlier this month, BISIW released its first book—an eponymous collection of “promise stories” with 100 percent of proceeds benefiting BISIW. One of the featured storytellers is Mentor native Katie Spotz, the youngest person to row solo across the Atlantic Ocean. Sheen also recently launched a podcast, which debuted its first three episodes on January 1, 2019. The podcast relates awe-inspiring stories of promises made all over the world—from a paraplegic determined to walk again for his son to a homeless person who walks 400 miles to Washington, D.C. for a conference. “It really gives you perspective on what it takes to keep a promise,” says Sheen. So does Sheen feel his message dovetails with society’s current hyper-focus on accountability—from social media justice to the #MeToo movement? Sheen hopes he’s moving the needle on that front with BISIW’s efforts and initiatives. “We all understand what it’s like to be on the other side of a broken promise, and we’ve all broken promises ourselves,” says Sheen. "We're trying to highlight the character values it takes to be a person of your word."